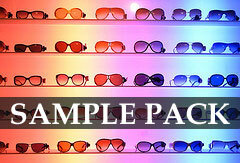 In each sample pack dozen you will receive 1-2 pieces of 6-12 different styles from our Womens Collection. Styles come in assorted colors. Styles and Colors are pre-selected/random.